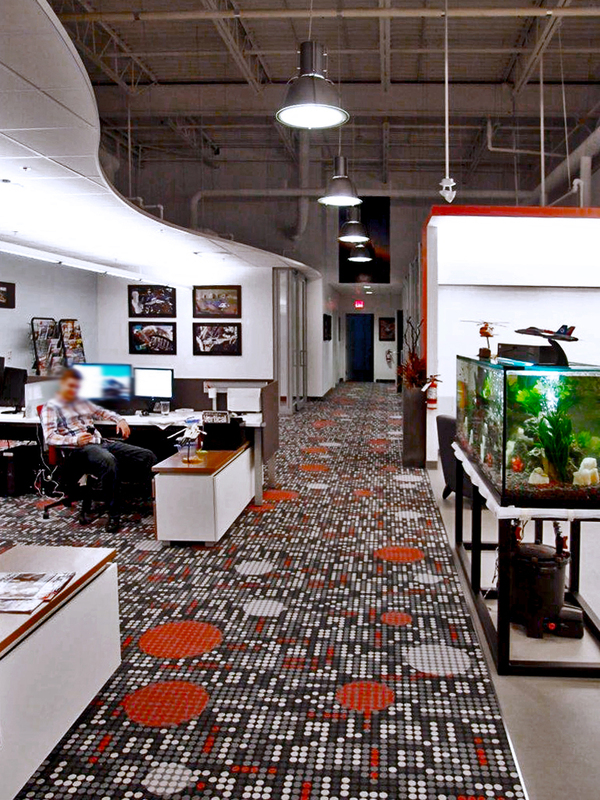 The MHM Publishing Inc. office is designed to be an exciting and modern working environment. Pops of red are found throughout the space creating design features in the bulkhead, carpet, walls, kitchen and furniture. 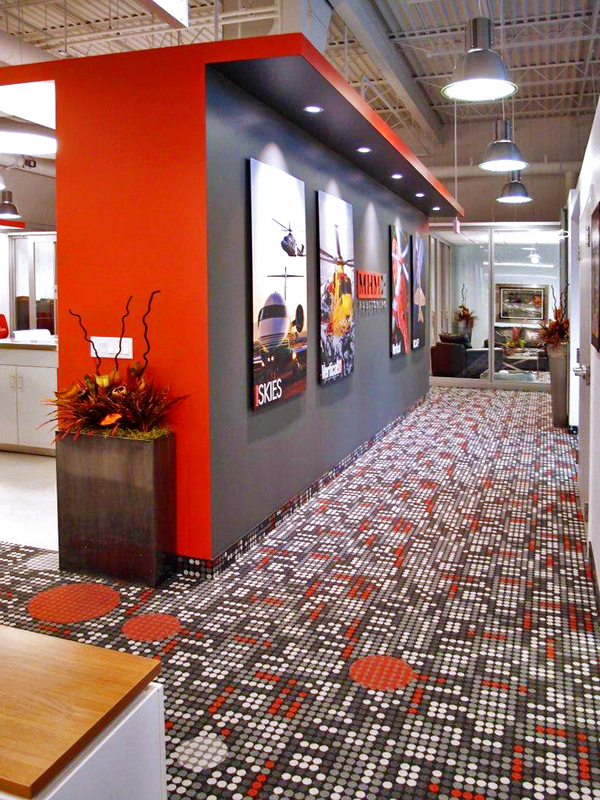 This bold and fun space reflects the work that MHM Publishing represtents.